The Bourne Trilogy Blu-ray Set only $23.99! Costs $49.96 at Walmart! 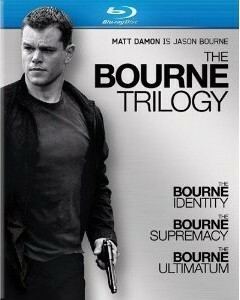 If you know a "Bourne fan", you can get The Bourne Trilogy Blu-ray Set for only $23.99 right now! I price-checked, and it's selling for $49.96 at Walmart! You can get this shipped for free if you can get your order up to $25.00, which is easy to do. I have lots of cheap "filler items" in this post, including DS styluses for $1.18, mousepad for $1.99 and more. If you don't have a Blu-ray player, the trilogy on DVD is only $20.99!